Help turn Sunset Studio into a box-office smash! The Director of Sunset Studio's latest movie needs help finding the necessary props fast. Search a variety of different film sets, including Adventure, Courtroom, Sitcom, and more, for the requested props. The faster you find the props, the more stars the film will receive! Original tools are on hand to help your search, but your greatest asset will be your keen eye for detail. 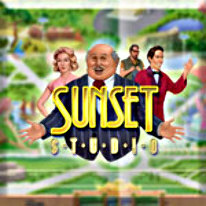 Featuring two game modes, 12 award-winning movies to create, and 60 stunning levels, Sunset Studio Deluxe is the place where dreams of fun come true!